An untapped niche gave these newlyweds the perfect strategy for success! When Kelly and Liam came to the I Love Real Estate community they both already owned one property each. Unfortunately both properties were bought at the height of the mining boom and had gone backwards since then to the tune of around 35%. In dollar terms, they were around $200,000 behind the equity 8-ball. Both houses were in Mackay in Queensland and there was a glut of four bedroom houses in the area which anyone could rent for $200pw, but what they did find in their research was that there was a demand for small spaces and fully furnished rooms in the area. In fact they found that while you could rent a whole four bedroom house in the area on a twelve month lease for just $200 a week, people would happily pay $150 per room if it’s fully furnished and some of the amenities are included. So their first move was to furnish Liam’s place to help with cash flow. With their strategy of going fully furnished they were able to completely fill every room very quickly. 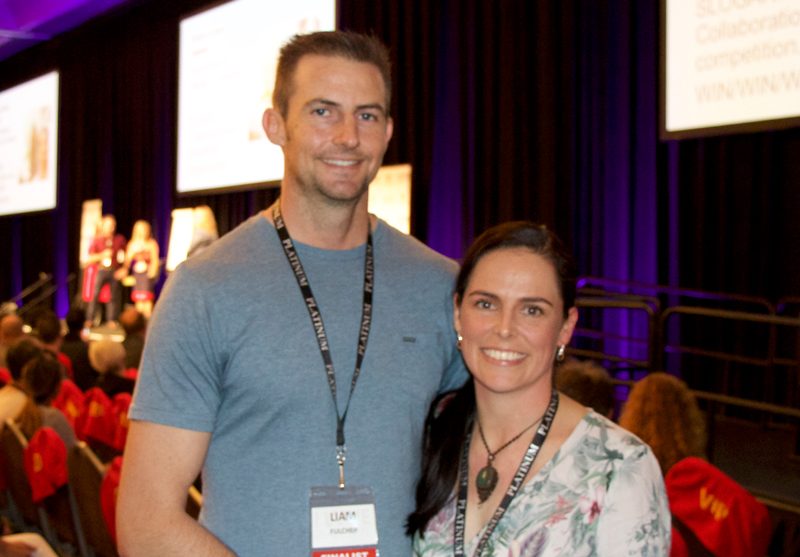 Kelly and Liam found a house listed at “offers over $110,000” but with the market not moving and the mining boom well and truly over no one was buying so they were able to pick up the house for just $85,000. Since they were working full time they dedicated themselves to working on the property in the evenings after work and on the weekends. Kelly was keen to know whether renovating a house would pay them as well as their jobs so they kept meticulous records of every hour they worked on the deal. All up they spend 513 hours working and renovating this deal and it cost them $19,500. Once it was completed, the revaluation came in at $140k and using the same strategy of renting by the room fully furnished, they were able to create $6,000 a year positive cash flow. When they worked out the numbers based on the redraw, it turned out that they got paid a bit more than their jobs, but with each new deal they got faster and better at their workflow as you’ll see. They were able to buy another similar two bedroom property for 80k not far from the first one. This time the reno cost $10,500 and they only spent 340 hours. The revaluation came in at $160,000 giving them another $64,000 to redraw for the next deal. Rented out by the room this property brings them another $5612 pa. When they talked to the relatives about the property and found they wanted to sell, Kelly and Liam offered them $92,000 prior to auction. The vendors rejected this saying they wanted $200,000 for the property (even though it was similar to the first deal that they landed for $85,000). On auction day no one bid on the property and the vendors begged them to put in a bid, which they did, for $87,000 ($5,000 less than their original offer). This time the reno cost them $11,250 and they did the whole thing in just 220 hours. Like the others the revaluation came in at $160k giving them, in this case, a redraw of $58,400 to use for the next one and a cash flow of $7619pa. While this last deal was happening, the tenants at Kelly’s place turned bad and Kelly had to get them evicted. They left the place in a terrible state of disrepair which means that this became their next project. Since it was in the same area, they applied the same winning formula they had used for all the others: Renovate, furnish, rent. Because this property was bought at the height of the market the increased rent lessened the burden of the negative cash flow but it’s not quite enough to make it positive, yet. When they got serious they decided that their future was more important than socialising and hanging out with their mates. Fitting in four renovations in less than twelve months cannot be done without some sacrifice, but at the end of the twelve months they are in a much better position than they were in prior and have passive income to boot. When they started this process they did Dymphna’s “Peg in the sand” goal setting journal. Seeing all the things they wanted for their lives Liam decided not to wait on one of them. He asked Kelly to marry him. So, to add to a full time job for each of them and renovating four properties in the last twelve months, they also got married! When two people have the same focus and passion and are moving in the same direction, you just know it’s going to be the perfect match.